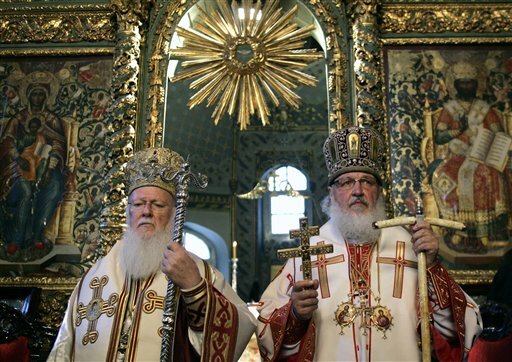 Moscow, August 6, Interfax – His Holiness, Patriarch Kirill of Moscow and All Russia, will hold a meeting with His Holiness, Patriarch Bartholomew of Constantinople, in Istanbul on August 31, the Synodal Department for Church, Society and Media Relations said on Monday. “The previous meeting of His Holiness Patriarch Kirill and His Holiness Patriarch Bartholomew took place at the assembly of the heads of the autonomous Orthodox Churches in Chambesy, Switzerland, on January 22-27, 2016,” it said. “The agenda is currently in the works,” the deputy head of the Department for External Church Relations, Archpriest Nikolay Balashov, told Interfax-Religion. The office of the secretary-general of the Holy Synod of the Ecumenical Patriarchate of Constantinople, in turn, said on its Facebook page that this meeting will take place at the Russian side’s request and the Patriarchs will discuss “bilateral relations of interest” during the visit.